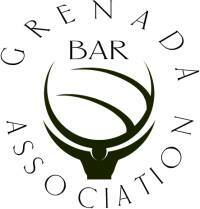 Following the complete shutdown of all criminal and civil high courts in Grenada in May 2018 the Grenada Bar Association gave the government of Grenada until 31 December 2018 to provide suitable accommodations to collectively house all High Courts and ancillary services. In advance of that deadline, the Minister for Legal Affairs assured the public that plans were well underway for the government to acquire the RBTT building on Gore Street, St George’s for that purpose. Reliable information subsequently reached the Bar that since in or about October, 2018 the government was outbid for the purchase of that building by a credit union. The deadline given by the Bar has come and gone and finds us in Grenada with only one operational criminal high court and a temporary civil high court housed in the Grenada Parliament, which functions subject to the parliamentary schedule. This is increasing the backlog of cases and the ability of litigants to access justice and in some cases, liberty. Before the LIME building was finally decommissioned in May 2018, the government was aware since at least 2017 of problems plaguing that building including – water shortages, termite infestation, consistent leaking of parts of the roof, problems with electrical wiring, malfunctioning air-conditioning units and flooding which caused temporary closure of the building in June 2017. The events of April/May 2018 which accelerated to causing serious health challenges for judges and court staff and eventually caused the abandonment of the LIME building, were most certainly not a sudden occurrence. Fifteen years after the passage of Hurricane Ivan in Grenada, the Grenada Bar finds it unacceptable and deplorable that no solution has been found to provide adequate high court facilities for the State of Grenada. The high courts have been moved from one building after another each having to be abandoned due to poor conditions. Recent pronouncements about a long-promised Hall of Justice refer to design drawings sitting at the office of the Attorney-General with no indication as to when construction may possibly start. The Bar has received reliable information that the land space adjacent to the Parliament building for which the drawings for the Hall of Justice were prepared, is available. A feasibility study was conducted prior to the site being selected. For reasons unknown to the Bar there now appears to be a move to relocate the site of the Hall of Justice which can only mean further delaying of this project before it even begins. The Court transcription office is severely understaffed and written transcripts which are critically required to facilitate appeals of both criminal and civil matters are backlogged, in some cases for more than 5 years. All these facts point to a crisis in the entire judicial system which threatens public confidence in this system, public order, good governance and the economic and social life of this country. The Grenada Bar contends that the authorities have not demonstrated with sufficient urgency and action that they accept that there is such a crisis, that they intend to deal with this crisis once and for all and how they intend to do so. On Monday, 7 January 2019 members of the Grenada Bar Association will therefore gather at the carpark of the Supreme Court Registry at Church Street at 9 am to protest this continued state of affairs and to call upon the government to come up with an urgent plan to comprehensively address all of these issues. Thank you bringing this issue to light. What can I do to help? They are too busy taking care of themselves and their friends. And despite all of this going on they say we are making progress. What are poor people going to do in this country where justice is concerned. All our institutions are disappearing this happens in a dictatorship no police stations no post offices d one i.n grenville and sauteurs are abandoned d police in sauteurs is renting a room in somebody’s house and a quarter mile away d fire truck is park in a driveway thats d kind of progress we talk about in grenada. The tax payers monies are use for political expediency and to pay sorragates and whats about d mnib why a commission of inquiry. The money is missing we have a financial unit in d police force put them on d case Claudius? They might end up on your door step to detain u for questioning. Grenada. Grenada oh Grenada!